Michael Hartney, who earned his Ph.D. in political science at the University of Notre Dame in 2014, has won the American Political Science Association’s Harold D. Lasswell Award—given annually to the best dissertation in the field of public policy. 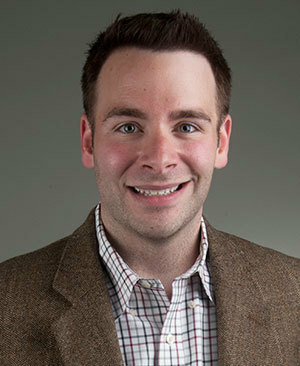 Hartney, whose research focuses on how politics shape educational opportunity, also won the Notre Dame’s Shaheen Award for the best graduate student in the social sciences. “Michael’s interest in education policy reflects an emphasis that Notre Dame will be building on,” said Matthew E.K. Hall, director of graduate studies for the Department of Political Science. “The University has made a big commitment to provide extra funding for graduate students engaged in research related to education, and we’re hoping to attract more students that share his interests. In his research, Hartney uses the American public school as an analytical venue for developing and testing theories about political behavior, public policymaking, and the workings of governmental institutions more generally. “Public education represents the largest investment in social mobility and equal opportunity in the United States,” Hartney said. “Schools help cultivate norms of civic and political engagement among youth, which in turn shape the overall quality of American democracy. Hartney, who is now an assistant professor at Lake Forest College, uses “the lens of American politics” to show how the choices people make about organizing and governing schools have direct implications for the quality of public education and, by extension, the equality of opportunity. Hartney’s award-winning dissertation, Turning Out Teachers: The Causes and Consequences of Teacher Political Activism, addresses that question by evaluating the political activity of organized teacher unions. In contrast to existing research, it argues that today’s teachers unions primarily influence education policymaking through their clout in politics, rather than through collective bargaining. “I find that elected officials are far more responsive to the policy preferences of teachers in school districts where teachers participate in politics more than non-teachers, irrespective of whether those teachers are unionized,” he said. Hartney’s new research project, tentatively titled Black Test Scores Matter, examines the politics of the racial achievement gap in education. He contends that the persisting achievement gap between white and racial minority students has distinctively political foundations. “In one analysis, I’ve found that the electoral fortunes of incumbent school board members are strongly tied to the achievement of white students in their district—lower student achievement predicts lower incumbent vote shares— but bear little statistical relationship to the achievement of African American or Latino students,” Hartney said. In the classroom, Hartney strives to make issues of educational inequality directly relevant in the lives of students. For example, he helps students build a database of their home school districts, which is used to plot relationships that help students visualize education outcomes in their own communities. To that end, coursework emphasizes learning how to analyze the tradeoffs inherent in real-world public policymaking. In lieu of traditional paper assignments, students write memoranda responding to requests adapted from ones made by actual public officials seeking information on the costs and benefits of policy reforms proposals. Hartney said there are many aspects of Notre Dame graduate student life, and life within the political science department specifically, that made him more productive as he pursued his Ph.D. He cited the resources available to graduate students, from conference and research funding to opportunities to serve as a research assistant, as incredibly beneficial. “For me, the Rooney Center for American Democracy was especially helpful, in that it provided a regular intellectual community that allows students to feel plugged into the larger life of the department,” he said. Originally published by Aaron Smith at al.nd.edu on February 08, 2016.